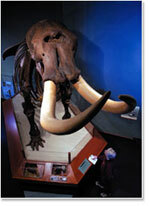 MFH Members are entitled to a 10-percent discount at Florida's History Shop-even online. One Membership - MANY BENEFITS! When you decide to become a member of the MFH sites, you will receive a membership to the Museum of Florida History and the Knott House Museum. Each site offers visitors a unique glimpse into Florida's rich history, culture and people. Members enjoy the opportunity to be a part of many exciting events, programs, tours, classes, performances and much more. In addition, your membership provides essential funding to help each museum site continue to thrive and expand collections, education and outreach programs. Membership benefits extend one year from the date of joining and are issued in the individual's name (non-transferable). Letters of renewal will be sent 30 days prior to anniversary date so that publications are received by members without interruption. **Family includes two adults and their children under 18 years of age.